When you purchase a new Air Conditioning system, you expect high performance. Unfortunately, more than half of the new HVAC systems in US homes do not perform to their rated efficiency as a result of improper installation. In fact, an improper AC installation can reduce performance by as much as 30%. This not only affects your utility bills, but can lead to a variety of home comfort problems, including insufficient dehumidification, dust from leaking ductwork, and poor air distribution. Ask the AC contractors bidding for your business if they follow ENERGY STAR® Quality Installation Guidelines (www.energystar.gov/qispec) to ensure that you are not buying just a piece of equipment but a properly installed heating and cooling system that provides comfort and efficiency. ¹Proper equipment size is vital for maximizing efficiency and comfort. To size your new system, the contractor should calculate your home’s heating and cooling loads using the Air Conditioning Contractors of America (ACCA) Manual J or equivalent. 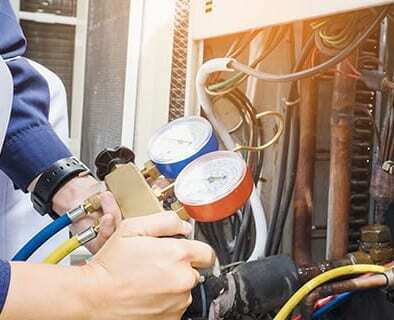 ²Your contractor should provide an Air Conditioning, Heating and Refrigeration Institute (AHRI) certificate to document that your system was properly matched. ³Duct sealing is essential to the operation of your heating and cooling system, it is most cases it’s recommended that total duct leakage be no more than 20%.